Glendale, which began as an agrarian settlement, has grown into a major urban center, and the city’s physical appearance has transformed in the process. Luckily for those with a passion for history, Glendale today is home to over 120 registered historic properties that help chart the community’s development. From quaint adobes and elegant mansions to iconic civic buildings and several historic districts, a tour of Glendale’s landmarks is a journey through history. The following provides information on some of Glendale’s most notable buildings and points of interest, including many listed in the National Register of Historic Places. To view a list of local historic properties, visit the City of Glendale’s Register of Historic Resources webpage. Egyptian and Art Deco elements distinguish this theatre, with its landmark marquee tower. Designed by Arthur G. Lindley and Charles Selkirk, the City of Glendale bought this building in 1993 to become a venue for performing arts and films. Designed by Nathaniel Dryden, Ard Eevin (in Gaelic, "Heavenly View") was built for Dan Campbell, a civic leader. With elements of Colonial, Craftsman and Victorian styles, the property is one of the most architecturally distinctive homes in the U.S. Built by Tomas Sanchez, first sheriff of Los Angeles County, this adobe structure was restored in 1932 as a federal Works Progress Administration (WPA) project. The property now serves as a museum owned and operated by the City of Glendale. Constructed as a federal WPA project, the government building offers Art Deco and Beaux Arts elegance, with simple lines and symmetry to reflect the austerity of its era. It has served as Glendale's City Hall since its official opening in 1942. Local architect John A. Grundfor designed this Spanish Colonial Revival and Moorish-influenced building. Formerly known as the Verdugo Municipal Recreation Center, in a complex that also once featured a plunge pool, it was one of several federal WPA projects in Glendale. Designed by Lloyd Wright, son of Frank Lloyd Wright, this house was to incorporate Mayan architectural design through use of pre-cast and knitted concrete blocks. The end result, however, appears to owe more to Islamic influence than to Mayan. The Moorish Style castle-like home of city founder Leslie C. Brand was fashioned after the East Indian Pavillion at the 1893 Columbian Exposition in Chicago. It now serves as an art studio and gallery, and houses the City's arts resources library. Incorporating zig-zag moderne elements, this Spanish Colonial Revival style terminal was the site of many historic aviation events. The Walt Disney Company now owns the building, and has restored and adaptively reused it as a creative campus facility. 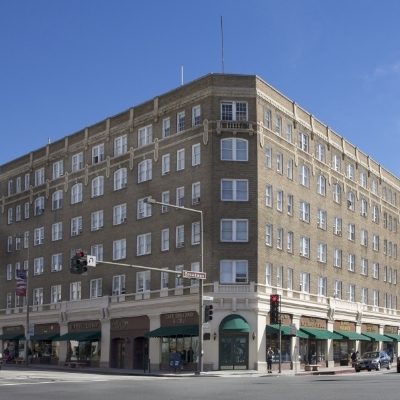 Conceived as a hotel-apartment complex and designed by architects Arthur G. Lindley and Charles R. Selkirk, this building was considered a commercial and design failure. Today the Beaux-Arts style building provides a reminder of 1920s Glendale when optimism in the future was unlimited. Constructed during the Great Depression, this Italian Renaissance style post office has sumptuous marble, tile, bronze and ornamental plaster work. The building is said to be the last one, regionally, to be constructed in this style. Residential health care facilities were once plentiful in the region. The sanitarium, founded in 1923 to serve a female clientele, is a rare extant example. 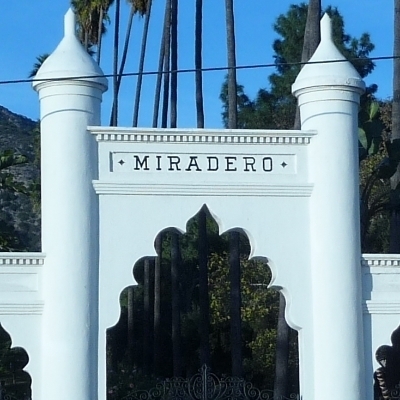 In 2015 Los Angeles Magazine identified it as one of Los Angeles’s most endangered spaces. This early Mid-century Modern house by master architect John Lautner features pivoting wood-frame glass doors and alternating horizontal bands of glass and redwood siding. It gained international recognition after appearing as the home of Colin Firth in A Single Man (2009). This Spanish Colonial Revival train station has been in continuous use since its opening in the 1920s. Restored to become the Glendale Transportation Center in 1999 it now services Amtrak, Metrolink and Greyhound transit lines. Now part of a city park, the adobe housed the daughter and grandson of the original owner of the Rancho San Rafael. Under the Oak of Peace terms were negotiated for the Treaty of Cahuenga, which ended the Mexican-American War in 1847. The YMCA arrived in Glendale in 1919; twelve-year-old Marion Morrison, better known as the actor John Wayne, was one of its first members. Glendale residents raised a record $275,000 in 1924 for this four-story Spanish Colonial Revival building.